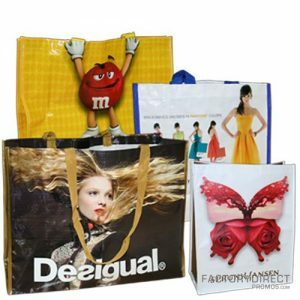 Buy reusable bags wholesale—including reusable grocery bags, shopping bags, wine totes, trade show bags, promotional bags and more, manufacturer direct and save. Reusable bags are an ideal eco-friendly alternative to single use plastic bags. Our complete product line of eco-friendly reusable and recycled bags and totes can be customized with your identity, branding and marketing messaging—while also making a statement about your commitment to environmental sustainability and reducing your company’s carbon footprint. 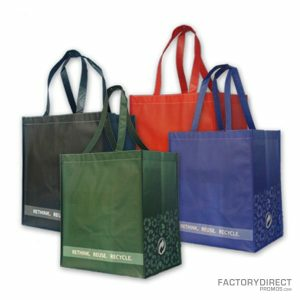 Reusable bags from Factory Direct Promos include a vast range of woven and non-woven bag styles, sizes and materials, including reusable polypropylene bags, recycled bags made from post-consumer recycled content and canvas and jute bags and totes. When you work with Factory Direct Promos, we help you select the perfect bags and totes, taking ownership of your project and managing the process from start to finish—from in-house design and production to dedicated manufacturing to delivery. 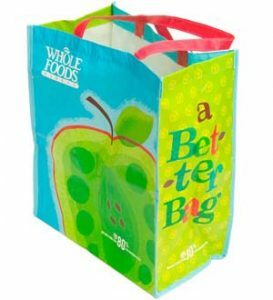 Strong, heavyweight reusable grocery bags and totes in a range of sizes, styles and colors, constructed from durable, non-woven and recycled materials with custom design and imprint options. Promote Recycling. Promote Your Community. Great, low-cost promo item or giveaway for multi-family residential communities and municipalities. Promote your green practices and sustainability initiatives. High-quality, reusable 2, 4, and 6 bottle wine totes made from environmentally-friendly recycled or recyclable materials with bottom board and dividers for added strength and stability, in a range of colors with custom imprint options. Strong, heavyweight reusable shopping bags and totes available in a range of sizes, styles and colors, constructed from durable recyclable and recycled materials with custom retail graphics and printing. 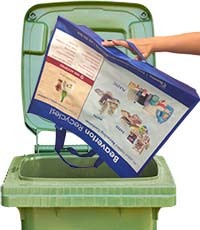 A complete line of recycled bags made from post-consumer recycled content in a range of sizes, styles and colors and with custom designs, graphics and printing. 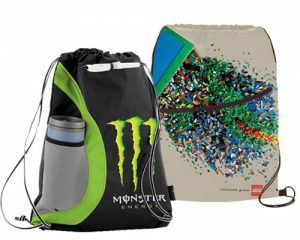 Reusable trade show and promotional cinch bags including messenger, portfolio and drawstring bags in an array of sizes, styles and colors with custom graphics. A full line of environmentally friendly promotional items to complement your brand and support your green initiatives. Our flexible direct-from-manufacturer business model makes us a leading, worldwide wholesale provider in the eco-friendly bags and promotional products industry. We offer stateside manufacturing for fast turnarounds and overseas manufacturing when below wholesale pricing is the top priority. Fill out an online product quote request form or give us a call to get started marketing your brand in an eco-friendly way that works for your business and the environment.